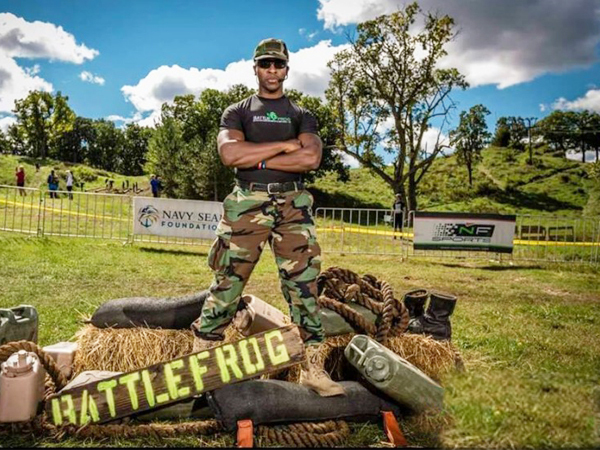 Anyone who has participated in a BattleFrog event has had the opportunity to get a dose of Coach Pain’s inspirational saber rattling words. Some will not soon forget how he moved them. It was by mere coincidence that our interview was scheduled on the day that BattleFrog announced that they are suspending all future events effective immediately. Clearly, a shock to those who loved to compete in these events, more of a shock to those who were employed by the organization. All the same, Coach Pain and I held true to our words; we answered questions that people posed and were offered a seemingly final bit of inspiration from the man who touched so many in the sport of Obstacle Racing. I run my first Battle Frog 2 weeks ago and I must say that Coach Pains’ inspirational, motivating, prelude to the race was so impeccably done that I have talked about to someone everyday since. Secondly, the tribute to the fallen military soldiers was a very touching and beautiful experience; I was deeply and forever moved. The OCR community will be less without the environment BF impressed upon me. Good luck to the organization in their future endeavors. Chris Felix I would like to say thanks so much it was a great run.I hope that all things will work out moving forward!Thanks very much for your support my brother!